The holidays shine a little brighter at the Great Estate. 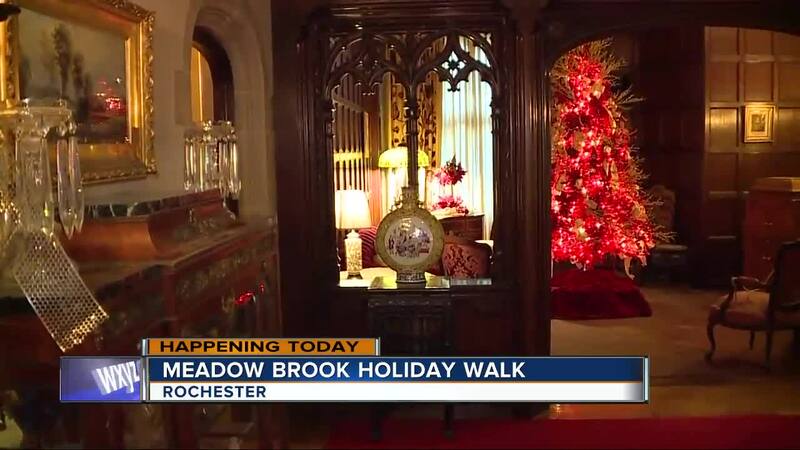 Continuing in its 47th year, Meadow Brook Hall’s Holiday Walk offers self-guided touring through the elegant rooms of The Hall decked in holiday splendor with over 50 dazzling trees on display including a 10-foot tall Poinsettia tree created by 150 live plants displayed in the Sun Porch! Tours are available now through December 23. Self-guided Holiday Walk tours are offered daily from 11:00 to 4:00 and until 8:00 on select nights. Last admittance is one hour prior to closing. 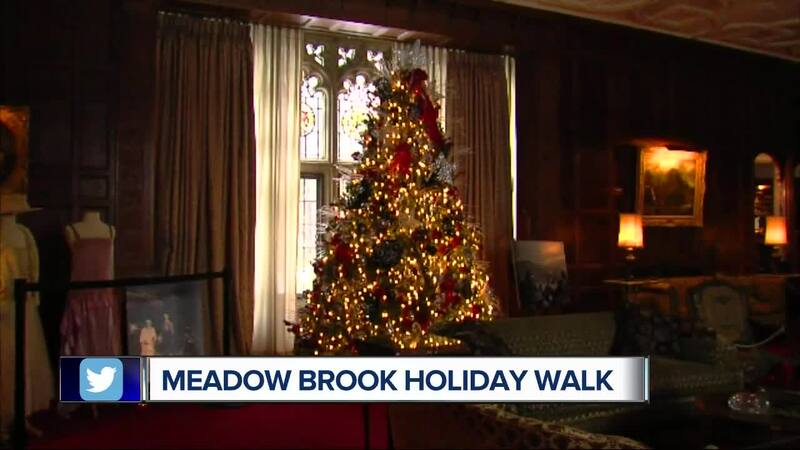 Cleo’s Candy Adventure: Kids of all ages can follow Cleo, the Dodge Wilsons’ beloved St. Bernard, through the halls of Meadow Brook as she shares some of her favorite holiday memories. She’ll leave treats along the way, from the Fountain Room to Knole Cottage! Supported by Doc Sweets’ Candy Company. Letters to Santa: A mailbox to the North Pole will be set up in Santa’s Workshop throughout the Holiday Walk so kids can send their wish lists to Santa. Holiday Lights & Winter Nights: Experience the Landmark In Lights during evening tours when the Great Estate glows a little brighter. During Holiday Lights and Winter Nights the house will be open for tours from 11:00 to 8:00. and guests can enjoy “winter nights” activities in the courtyard beginning at 5:00.